Kitchen remodeling! Finally, after having been in Berlin for exactly 10 years I used this special anniversary to change a part of my kitchen that has been bugging me since my first day. When I moved into my apartment I took over an oven and a rather simple and unpractical sink/ cupboard which were already set up. The oven made space for my new one after 5 years but, somehow, the sink which was supposed to leave after a week survived 10 years. Thanks to procrastination and my indecisiveness! So, a few weeks ago I fell in love with a white ceramic sink and I took this love at first sight as an incentive to get my kitchen project started. Although I only had a one and a half meter space for the sink, cupboard and shelves, I don’t think that the planning would have taken much longer for the whole kitchen. All the little details which make it or break it (literally) were much more time consuming than expected (which explains my hesitance to get started). I didn’t want to break with the look that I already have, Carrara marble kitchen tops and aluminium wall panels. White is the dominant colour which is helpful as it makes the room brighter. The only thing I did change, are the closed cupboards under and next to the sink. In the past I only had an open shelving system with metal supports and wooden racks which looks great but is rather unpractical when there is water involved. I made the final choices when I visited my mother last week, kitchen remodeling is a perfect mother-daughter project. We spoke about materials and the layout while we sat outside on her terrace in the sunshine with a glass of chilled white wine and lots of pictures, brochures and drawings scattered all over the table. As soon as I got back home, I made my orders and prepared myself for the building, I baked a cake! I love home works and renovations but to me good catering is essential to keep up the spirit in moments of frustration and we had a few of them. 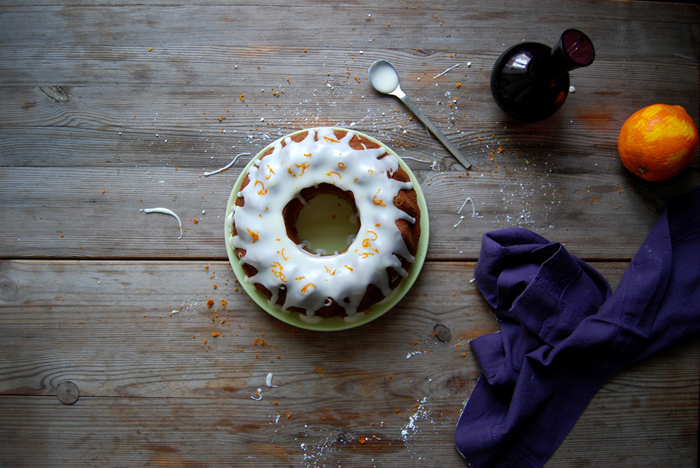 My cake of choice was the juiciest, spongiest gugelhupf (bundt cake) made with lots of olive oil. 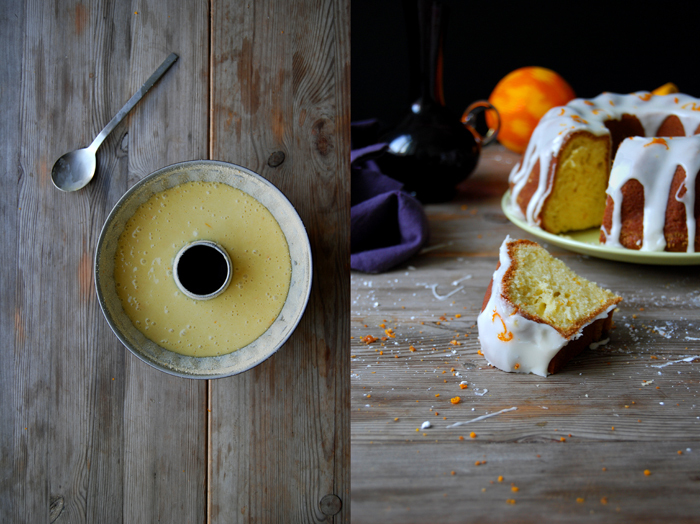 I covered this piece of simple bliss in a fruity orange icing to give it a more festive anniversary look. It doesn’t really need it but it made it pretty! 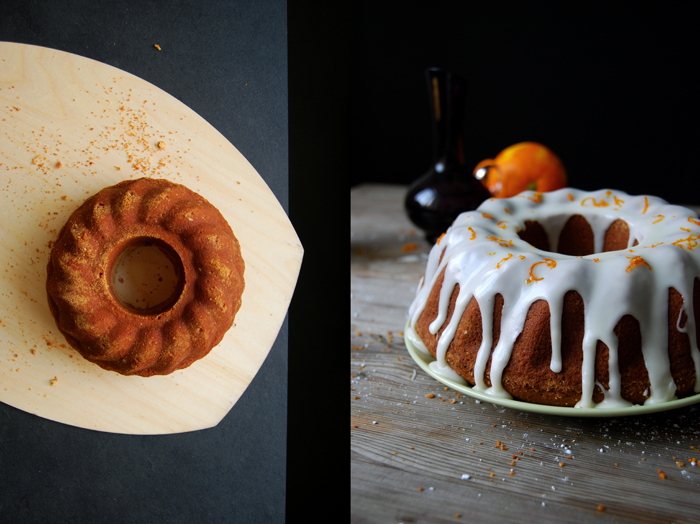 If you’re looking for a cake that you can eat with your fingers as a little snack (while you’re remodeling your kitchen) or for breakfast, or if you’re after an honest tea time cake with a bit of finesse, go for it! The olive oil adds some moisture without making it soggy and it leaves a subtle hint of its rich aroma. So, it’s been 10 years of Berlin and the city has been very good to me. I fell in love with it when I visited it for the first time many, many years ago and it has inspired me every day since then, it made me grow and filled me with such happiness like no other place in the world (apart from Malta). Thank you Berlin! Set the oven to 180°C / 350°F (fan-assisted oven). Butter the bundt pan well and coat generously with breadcrumbs. Combine the flour, sugar, baking powder and salt. Quickly mix in the eggs, olive oil and milk with an electric mixer. 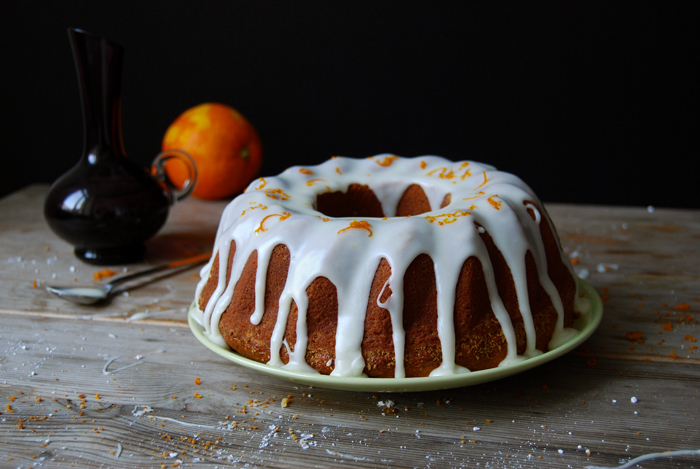 Pour the batter into the bundt pan and bake for 40 minutes or until golden and firm on top. Check with a skewer, it should come out clean. Let the cake cool for a few minutes, shake the pan a little and turn the cake onto a plate, let it cool completely. 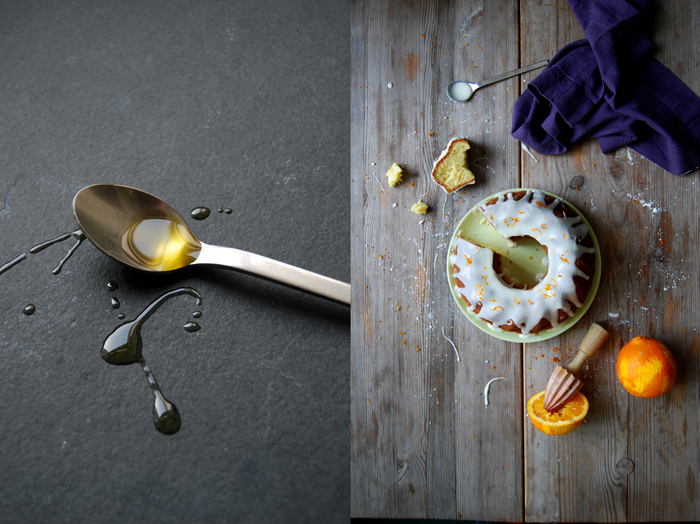 Whisk the icing sugar and orange juice (spoon by spoon) until it’s thick and slightly runny. 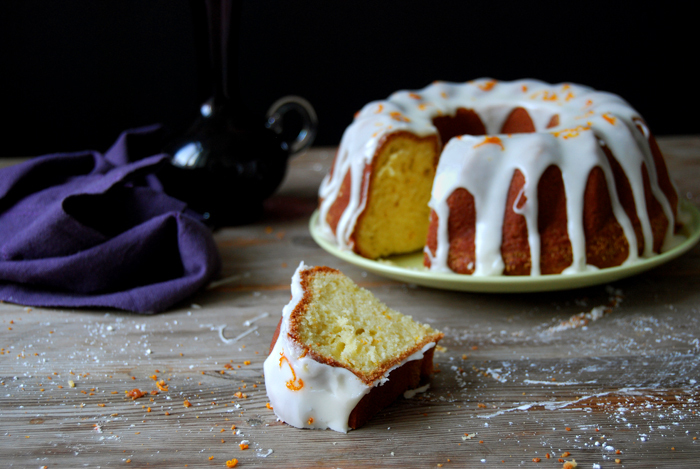 Glaze the cake with the orange icing and sprinkle with orange zest. Congratulations on 10 years in Berlin. I’m rather ashamed to say that I’ve never actually visited Berlin although it’s been on my list for a long time. And what better way to celebrate the anniversary than with an updated kitchen?! 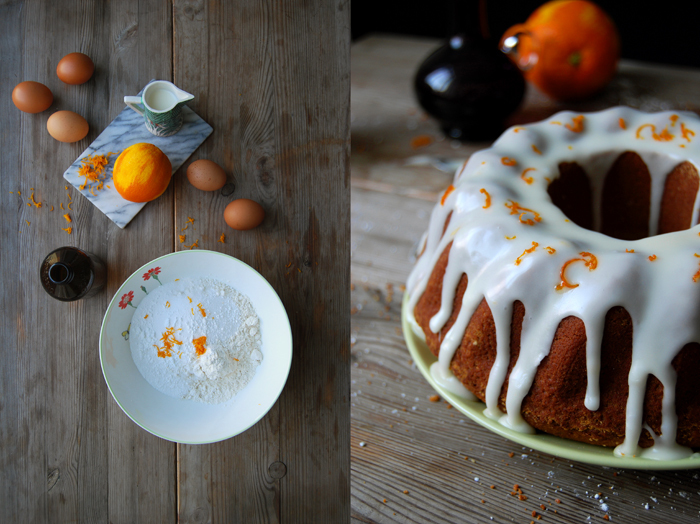 This cake looks stunning too – so simple and delicious! 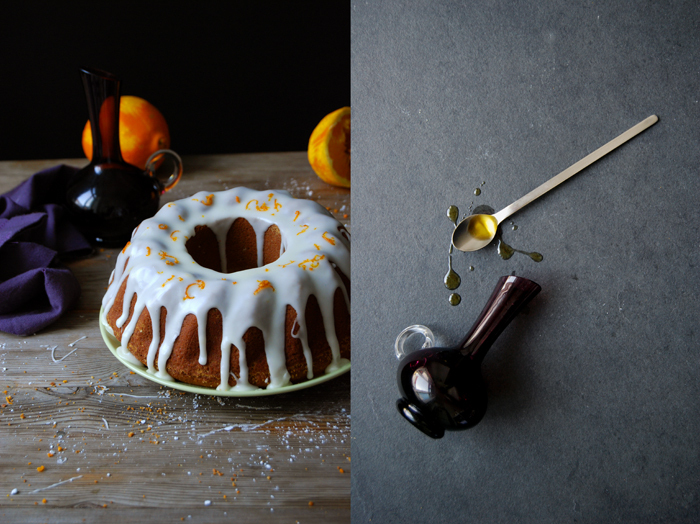 The cake looks wonderfully delicious…orange is my favorite flavoring for desserts. How exciting to be getting a new sink…I would love a whole new kitchen, but don’t see that happening any time soon.